Awarded a total of £6,747 since 2009. 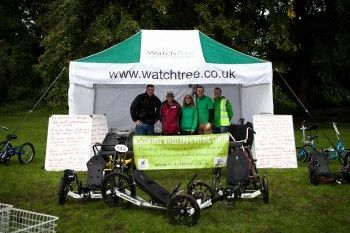 Based on the Watchtree Nature Reserve at Great Orton, Watchtree Wheelers provides opportunities for disabled people to use a range of specially adapted cycles and a purpose built track. It also specialises in providing leadership and support for groups of cyclists with learning and physical difficulties. Funding was awarded to purchase 15 new mountain bikes.